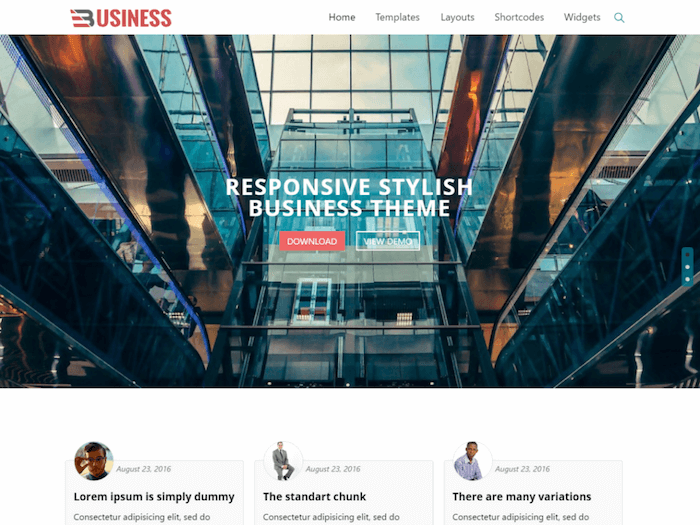 OnePress is a flexible one page theme provided by FameThemes, which can be used for business, freelancing, product showcase, and portfolio websites. This is a one-page theme with parallax scrolling that makes a stunning business presentation that can hook your potential clients easily. 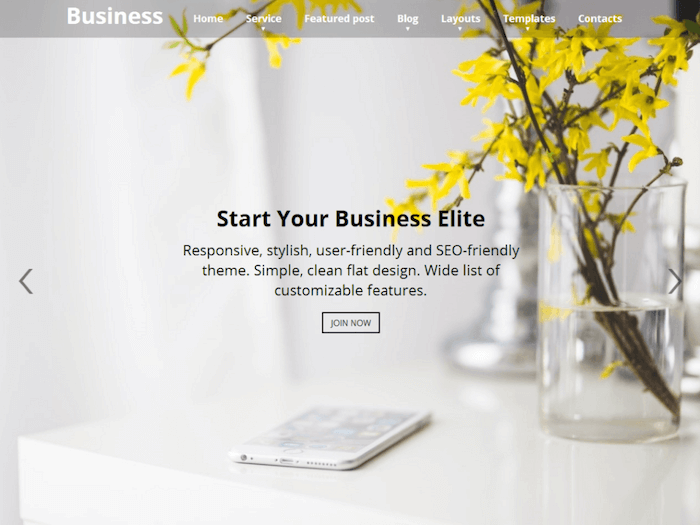 When you use this theme, you can easily showcase your product or service via the big content block on the top of the page, with a big title for your website. Parallax effect can really help you to display a better presentation for your product or service on your website. 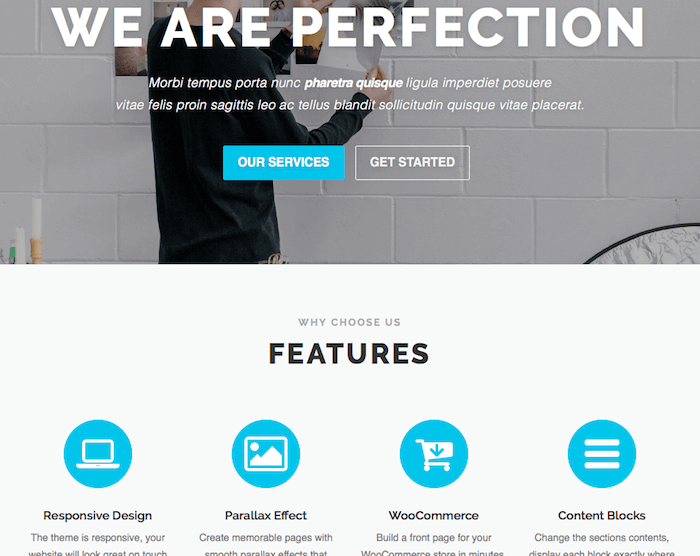 This theme uses a perfected parallax effect that allows your visitors to scroll down your website page smoothly. As your visitors scroll your website page, they can see various smooth animations as they uncover each content block that you have within your page. This can increase their interest in using your business or service. With content blocks, you can customize each content area according to what you want to show to your audience. Each content block is easy to customize, with the options for you to pick various animations for the transition effect. You can change the background of your content area with the background image that you want to show. You can change the position of each content block based on your need. You can add as many content blocks as want to your page. You can even customize the code for each content block to add some elements that are not available in the theme, in order to make it more unique. 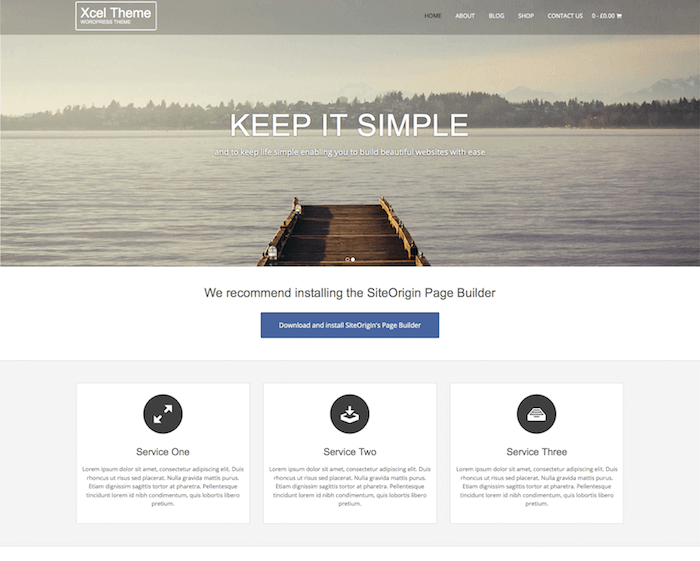 The WooCommerce integration allows you to use this one page theme as the front page for your WooCommerce online store. You can create the presentation for your store in the homepage of your website, and then people can access your WooCommerce store from your homepage. With this integration, it won't be difficult for you to boost the sales of your WooCommerce store, since people will be more compelled to buy the products in your online store when you show them a good presentation about your online store in your website. The flexible and responsive design used in this theme allows you to present your website in various different ways, according to the device used by your audience. No matter what device that they use, they can still see the perfect version of your website.